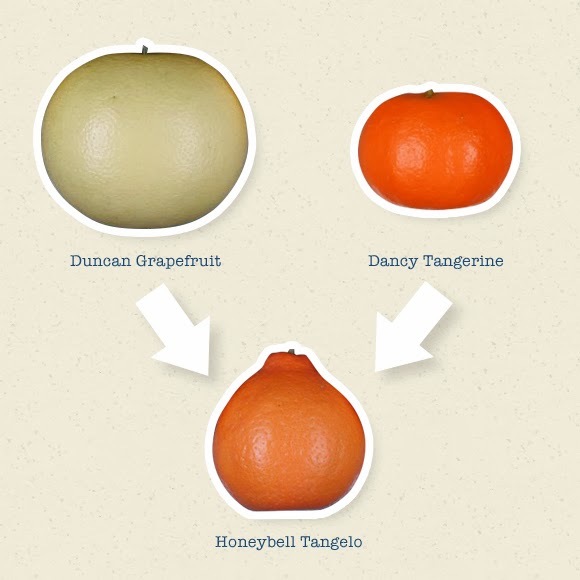 Did you know that a Honeybell isn't an Orange? We often have customers asking for Honeybell Oranges. It’s a common misnomer, and I don’t usually correct the customer. When I do mentioned that Honeybells aren’t actually oranges, I’m always met with surprise and a little skepticism. Your first guess might be that a Honeybell is a cross between an orange and some other type of citrus fruit and that I’m being a bit too particular by claiming that a Honeybell isn’t an orange. That’s a good guess. Anyone who’s familiar with citrus knows that there are many different citrus hybrids and new ones are being created all the time. Biologists and growers use cross pollination to mix different types of citrus to experiment with new varieties. So, are Honeybells a hybrid between an orange and another type of citrus? Nope! Honeybells really aren’t oranges. Honeybells are a type of Tangelo called the Minneola Tangelo. 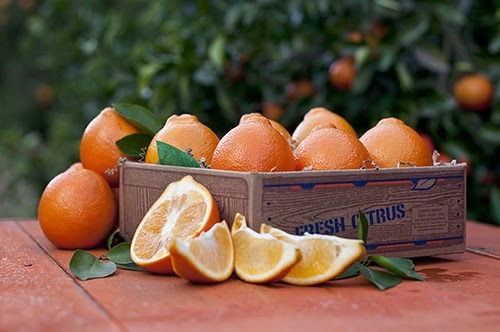 A Tangelo is a hybrid between a tangerine and a grapefruit (or pomelo). More specifically, the Minneola Tangelo is a cross between a Duncan Grapefruit and a Dancy Tangerine. So the Tangelo is not an orange, and it’s not a descendant of any orange variety. It is an entirely different species that came from cross pollinating grapefruit and tangerines. This helps to explain why the Honeybell has such a unique flavor -- very different from any orange that you’ve ever tried! Honeybells are a real treat; browse our selection and experience the incredible flavor of fresh Honeybells. How is Orange Blossom Honey Harvested?